40 oz. vinyl. 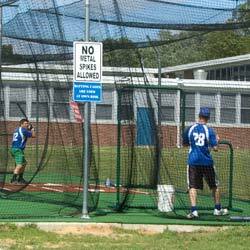 5' x 6' backdrop that adds extra reinforcement to your batting cage netting. 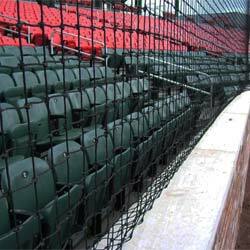 Protects your batting cage net, walls, or anything behind the batting cage both indoors and outdoors. 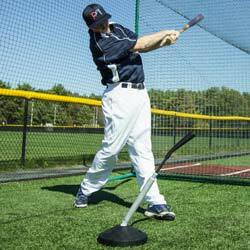 Comes standard with a sewn-in strike zone target. Target Dimensions: 17.5" x 30.5"
I just got this item and it is super heavy duty, however the I am struggling with the straps. <br>They are very, very long and not at all adjustable. 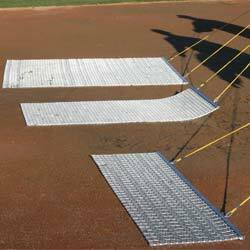 I can understand their use for using with a fence at a field though you would need a ladder to hang it because the straps are so long. Maker should really consider having straps that are adjustable or offering strap lengths. We want to use this in our basement and don't need more than a 6" to 1 foot strap. And yes, I can go and find this, we had hoped to use this today to try it out.